Wide-eyed and bushy tailed, Pat and I decided to head off to the Chesapeake Bay on Saturday. After a few minor glitches in the beginning, we were off. Heading from DC down to North Beach, MD was a treat. It’s always nice to get out of the city with your close friends–even if it is for a few hours. Pat makes the long-40 minute drive- to the Bay frequently. Each trip always has a purpose. The trip this time was for Kettle Corn, the Olde Bay Tavern, and a little serenity on the Boardwalk. North Beach is gently nestled on the western shore line of the Bay in Calvert Country. With, I’m sure, a unique past, this town brings diverse activities for both locals and tourists to enjoy. A little Southern charm and a slow-down it is a perfect town that is pedestrian-friendly and has many store fronts and restaurants within walking distance. A stroll on the boardwalk was exactly what the Doctor ordered. Heading down the strip we were on our way to lunch at the Olde Bay Tavern, which we discovered recently closed. RIP Olde Bay Tavern. Finding a new place, Abner’s was a treat in itself. An excellent waitress, Bonnie, helped us through our crab lunch and made it a true homey experience. Finally, we stopped into the Kettle Corn shop. Whatever flavor you have a hankering for, sweet, savory, salty a mix of all three– they have it here. It’s the best kettle corn I have ever tasted. Though the shop was practically empty when we arrived, we manged to make it out with some kettle corn, of course after sampling a few new treats as well. I made it out with a S’more flavor and the standard whereas Pat made it out with Birthday Cake (chocolate and vanilla). Honestly, these flavors are true. I actually feel like I am eating a S’more when I’m chomping down on this kettle corn. Next up: The Shops. While the adventure continued we stopped into various different shops. First stopping in a local place that sells artwork, jewelry and a few items of clothing, mind you they are made from bamboo the owner of the store welcomed us with open arms. She told us about her days on Capitol Hill and where we should be traveling to next, the Antique shop and then to the Wine Bar. Honestly, I am all about wine and antiques so this was a perfect fit. Trying new things, is something I am passionate about. As the Shins and Drake say: YOLO, so why not and after all we’re on an adventure, “yes” is the key word of the day. Needless to say, I wanted to buy everything in the antique store, I didn’t; however, the Wine Bar was a little different. After sampling six new wines Pat was sold and bought two bottles of a Line 39’s Petite Sirah. Both bold and flavorful, you couldn’t go wrong with this option. I, on the othe r hand, went a totally different route. As the owner told me “I had two very bold choices” I went off the deep end and bought them: Liquid Geography and Opici Bianco. The Liquid Geography is a rose and all of the profits go to charity, that’s why I bought that. 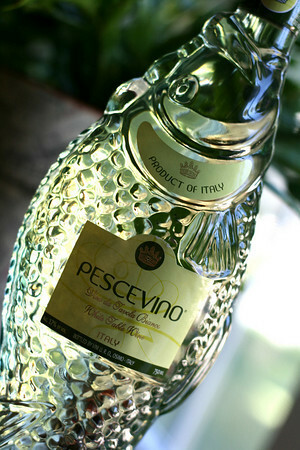 And the Opici Bianco, a true product of Italy, honestly I bought it because of the bottle. With a few bold decisions, a great friend and a little adventure, this day at the Bay was exactly what the doctor ordered. The adventure went a little off schedule and a little unplanned, but that doesn’t mean we didn’t have fun! I would suggest heading to the Bay. North Beach, MD was spectacular find. I hope you enjoy it as much as I did. This entry was posted in food, travel, Uncategorized, wine and tagged antiques, bay, boradwalk, chesapeak, crabs, friendship, kettle corn, north beach maryland, old bay, wine by kendal ann. Bookmark the permalink.